Models available: VCUX010, 15, 20, 25, 30 with dual High Efficiency Scroll compressors. Stainless steel base frame with sheetmetal powder coated and baked supports and panels. High Efficiency – Low Freon volume copper tube and aluminum fin condensers..
NEMA / EEMAC 4/12 Control Panel, optional stainless steel control panels. Models available: WCUX020, 30, 40, 50, 60, 70 with dual High Efficiency Scroll compressors. 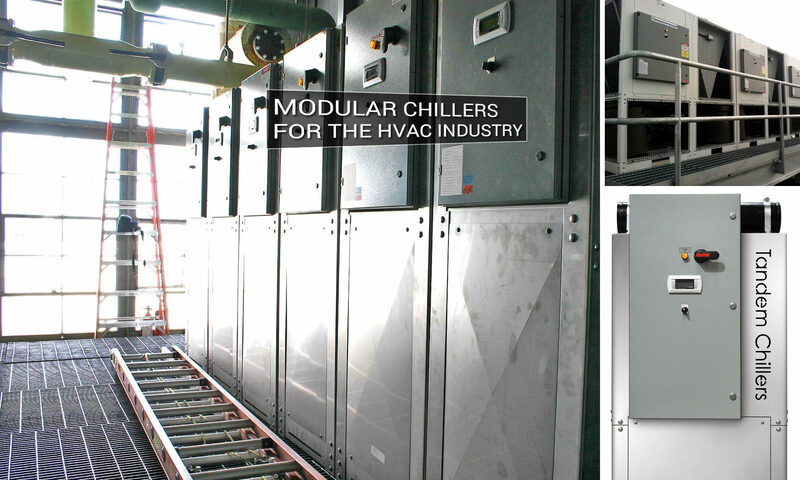 Maximum entering condenser water 110 F.
Dual Circuit Stainless Steel Brazed Plate Condensers. Condenser certified to UL 207 7th edition and C22.2 no. 140.3-M1987. Models available: WCU and WCUX060, 70, 80, 90, 100, 120, 140 with a single High Efficiency Rotary Screw compressor. 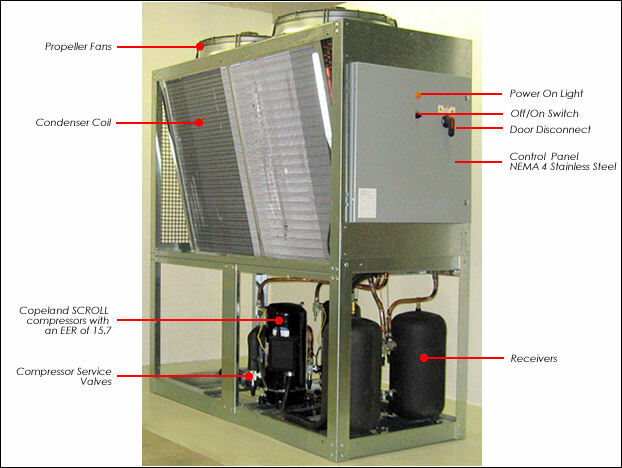 Maximum entering condenser water 110° F.
Single Circuit Stainless Steel Brazed Plate Condenser. NEMA / EEMAC 4/12 Control Panel, optional stainless control panels. 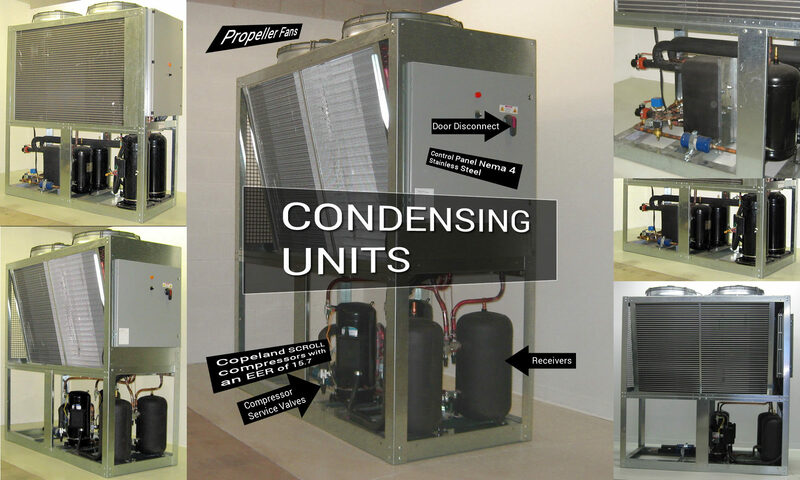 Like the typical air conditioner sitting outside your house, our condensing units are designed for use outdoors. They’re ideal for larger facilities from apartment buildings, colleges and universities, office buildings and many other industrial and commercial buildings.